This morning I am thinking about the gallbladder, the bowels and cultured foods. In any case, I know from my studies of nutrition, most notably with my mentor, Dr. Howard Loomis Jr. DC, that “squeezing” of the gallbladder can be good or bad. By squeezing I mean the forceful emptying of the gallbladder that occurs with fatty meals or certain other foods. You see, the gallbladder is the receptacle in the body that concentrated bile. Bile is produced in the liver. The gallbladder concentrated bile by removing water. Bile works to emulsify fats in the diet, and it works better in a concentrated form. If your gallbladder is not working right, or you’ve had it removed, you still get bile mixing into food in the digestive tract. It’s just not concentrated and is therefore not going to work as well. That is where the squeezing comes in. The gallbladder is stimulated to really squeeze and empty all of its concentrated bile by high fat meals and with certain other foods. If gallstones are present the squeezing of the gallbladder can cause colicky pain known as a gallbladder attack. If a gallstone gets lodged in the duct connecting the gallbladder to the intestine you can end up on the surgeon’s table. One home remedy that can sometime stop a mild gallbladder attack is a shot of sour tasting apple cider vinegar. I’ve seen it work, and I’ve seen it not work. So, a healthy gallbladder helps you digest and absorb dietary fats. Why is good fat digestion important? Without proper digestion off dietary fats you will not derive energy from those fats, your body may become deficient in essential fats needed to, for example, balance hormones and maintain healthy cells. Undigested fat in the bowels can contribute to imbalances in intestinal flora and may be associated with increased risk of colon cancer. And what made me think about his over breakfast? Well, you start to eat some wierd stuff when you are following the GAPS diet. I’ll discuss GAPS in a future post but for the moment let it suffice to say that GAPS diet is helpful to help heal permeability issues the lining of the gut, so-called leaky gut. So, this morning over a breakfast of eggs and sauerkraut — I know, but it was actually quite delicious, the arame ginger kraut from Wildbrine is totally awesome, could save money and make my own but theirs is unbelievable — I thought about the sour taste. In many traditional healing diets there is an emphasis on blending the tastes (sour, bitter, sweet, salty, Ayurveda actually identifies six tastes) in meals for optimal health. Traditional diets all include some form of fermented foods like sauerkraut, kimchi, miso, buttermilk, pickles. Many of these foods are bitter or sour tasting and happen to make the gallbladder empty better. Better and frequent emptying of the gallbladder may mean you do not get gallstones and gallbladder attacks. 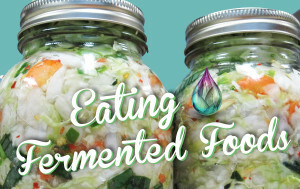 Additionally, these fermented, unpasteurized foods are high in enzymes and probiotics which are natural enhancements to digestion, bowel and immune health. How did ancient cultures know the value of these fermented foods? Maybe they did not know exactly, but included fermented foods because fermentation preserves foods, a good thing in the era prior to refrigeration. Our bodies work synergistically with billions of helpful bacteria colonized mainly in our lower intestine. 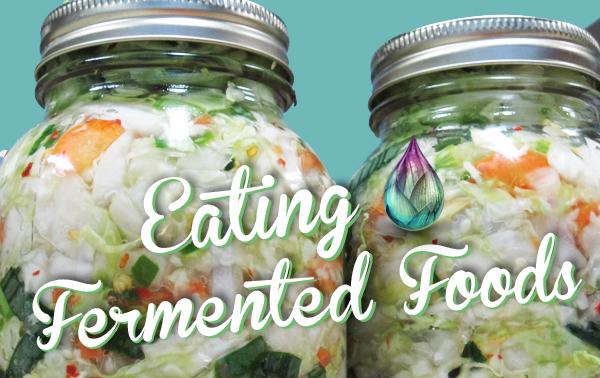 Regular intake of naturally fermented foods helps keep that population healthy. Ancient societies could not have known about those bacterial counts, but centuries of observation of diet and health perhaps fostered an understanding of the value of cultured or fermented foods. I’ll leave that for the anthropologists. In the modern U.S. our tastebuds have become attuned to sweet, salty and fatty meals. Where are the other flavors? The pickles on your fast food burger do not count. where are the bitter greens, pungent herbs and sour pickles? Dr. Henry Bieler may have been the first to say that “food is your best medicine.” If we focused more on a varied diet, ate fermented foods, combined a variety of tastes in our meals, I wonder how much better our health would be. And I wonder what I will have for lunch!